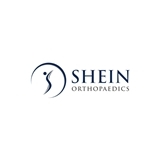 Shein Orthopaedics (New York) - Book Appointment Online! The front desk staff were very nice. There were a lot of patients in the waiting area but by my surprise I was seen on time. The only thing was the waiting time for the injection. The office was very clean. The doctor was very kind .